Meet the Directors, Governors, Honorary Officers, Staff, and fellow Members of the Japan America Society of Southern California. The agenda includes the Financial Report, Programs Report, additional committee reports, a vote to approve the 2015-2016 Board of Directors, as well as those matters that the Board of Directors intends to present for action by the voting members. 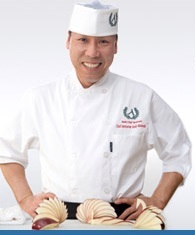 To commemorate Washoku (Traditional Dietary Cultures of the Japanese) being recognized as one of UNESCO’s Intangible Cultural Heritage, a special presentation and sampling of Washoku will be offered by Master Sushi Chef & Sushi Chef Instructor Andy Matsuda of Sushi Chef Institute during the Members Meeting. Presentation and sampling is co-hosted by JASSC and the Consulate-General of Japan in Los Angeles.